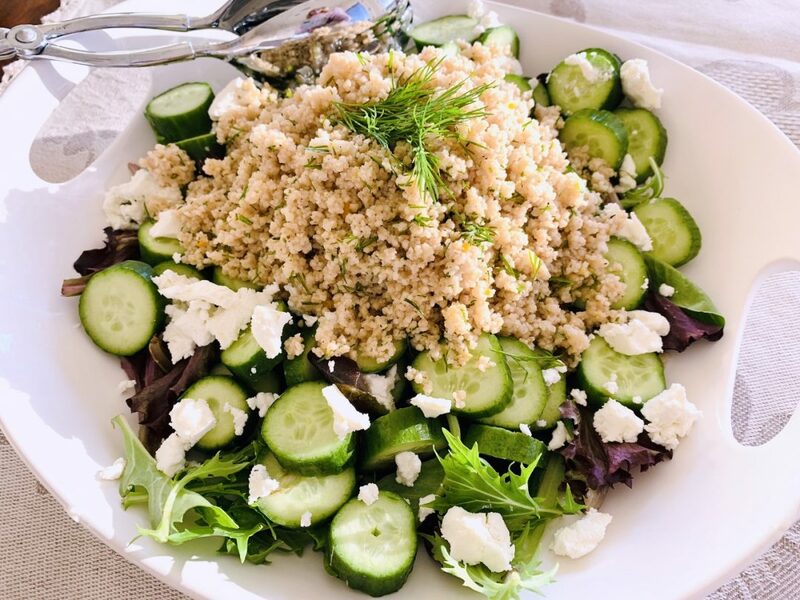 Cucumber Couscous Salad - Recipe! - Live. Love. Laugh. Food. Since spring has arrived I’m already getting amped up for salad season. Fresh mixed greens and tons of seasonal produce are already at the farmer’s market and the herbs, oh the herbs. Fresh herbs are the thing I love the most in my garden. When I’m picking weeds around the yard, I can smell each of them from a far and they are always the last thing I grab before heading inside to cook. Basil and dill seem to have the most challenging time throughout winter, so I often buy a freshly sprouted pot of each and keep them inside, next to my kitchen window, so I don’t have to go without when it’s chilly outside. But now my herbs are back where they love it the most, in their own mound of dirt with my other vegetables. Salads are just a bowl full of fun and creating something green with a bunch of different textures and flavors is exactly what I shoot for when preparing a salad recipe. 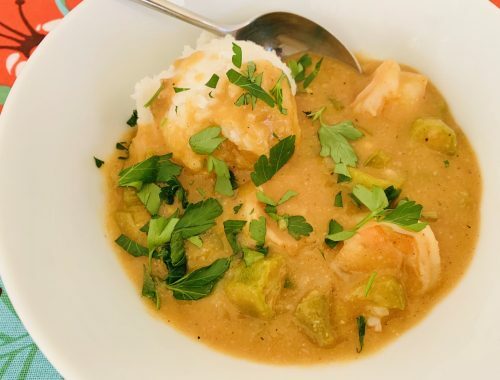 Couscous is a durum pearled wheat that steams up easily after spending a handful of minutes in boiling water, and adds a contrasting graininess to fresh greens. 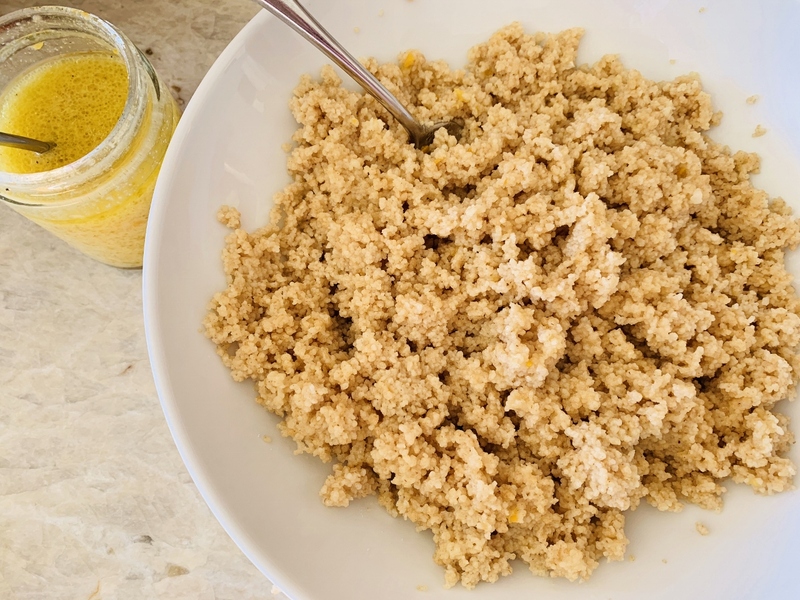 However, couscous doesn’t have much flavor on it’s own – it needs to be enhanced by a citrusy vinaigrette and some fresh herbs to really pop. 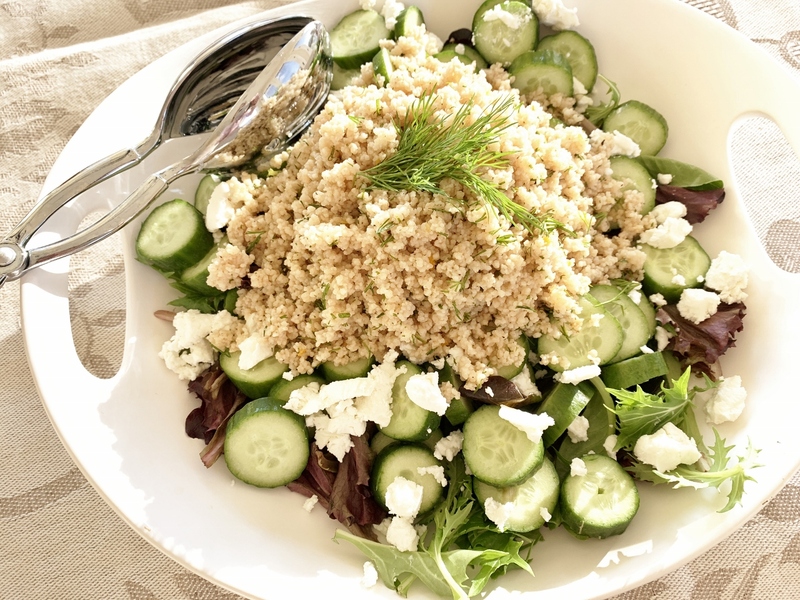 Cucumber and dill have been the perfect marriage for so many years, so adding fresh dill to couscous in the same bowl with cucumbers, offers a similar elegant taste. Goat cheese brings the salad together into a mix of springtime pleasure, and adds contrasting brightness. This is the start of a great salad season ahead, a time to indulge on those things we missed the most. In a large bowl, add cooked couscous and flake with a fork. Add 1/2 teaspoon salt and a pinch of black pepper, stir. 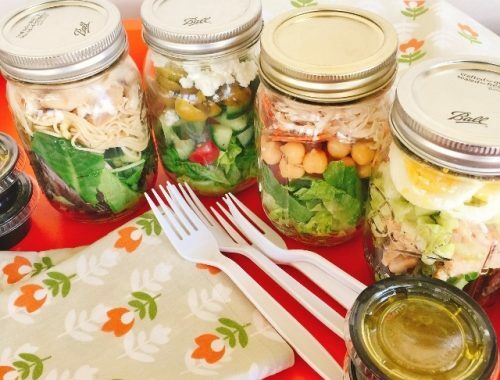 In a jar with sealed lid, add all vinaigrette ingredients. Shake vigorously for a minute. Pour half of vinaigrette over couscous and flake with fork. 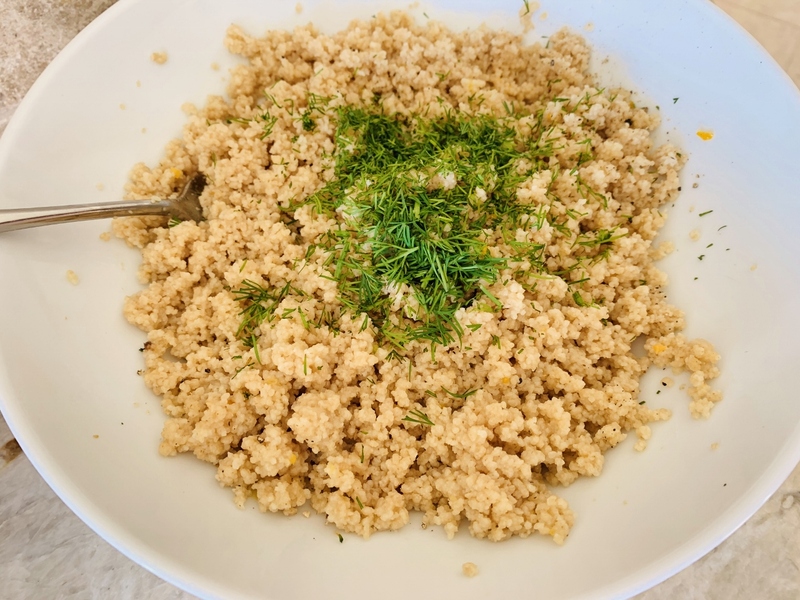 When couscous is room temperature, add chopped dill and stir. 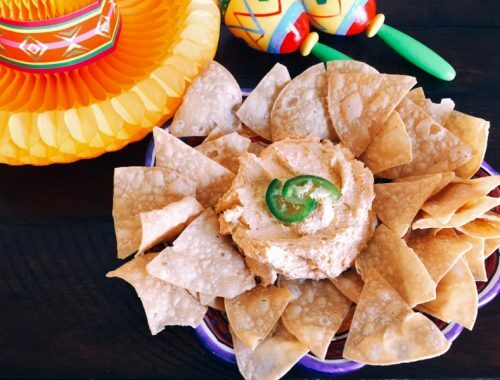 Place in refrigerator until ready to serve salad. In a large salad bowl, add mixed greens and layer cucumbers around edges. Mound couscous in center of salad and sprinkle salad with goat cheese. Serve salad with remaining vinaigrette. Enjoy!